My big concern with xMOOCs is their limitation, as currently designed, for developing the higher order intellectual skills needed in a digital world. Because at the time of writing most MOOCs are less than four years old, there are relatively few research publications on MOOCs, although research activities are now beginning to pick up. Much of the research to date on MOOCs comes from the institutions offering MOOCs, mainly in the form of reports on enrolments, or self-evaluation by instructors. The commercial platform providers such as Coursera and Udacity have provided limited research information overall, which is a pity, because they have access to really big data sets. However, MIT and Harvard, the founding partners in edX, are conducting some research, mainly on their own courses. There is very little independent research to date on either xMOOCs or cMOOCs. However, wherever possible, I have tried to use any research that has been done that provides insight into the strengths and weaknesses of MOOCs. At the same time, we should be clear that we are discussing a phenomenon that to date has been marked largely by political, emotional and often irrational discourse, and in terms of cumulative hard evidence, we will have to wait for some time. Lastly, it should be remembered when I am evaluating MOOCs I am applying the criteria of whether MOOCs are likely to lead to the kinds of learning needed in a digital age: in other words, do they help develop the knowledge and skills defined in Chapter 1? MOOCs, particularly xMOOCs, deliver high quality content from some of the world’s best universities for free to anyone with a computer and an Internet connection. This in itself is an amazing value proposition. In this sense, MOOCs are an incredibly valuable addition to educational provision. Who could argue against this? Certainly not me, so long as the argument for MOOCs goes no further. However, this is not the only form of open and free education. Libraries, open textbooks and educational broadcasting are also open and free and have been for some time, even if they do not have the same power and reach as Internet-based delivery. There are also lessons we can learn from these earlier forms of open and free education that still apply to MOOCs. The first is that these earlier forms of open and free did not replace the need for formal, credit-based education, but were used to supplement or strengthen it. In other words, MOOCs are a tool for continuing and informal education, which has high value in its own right. As we shall see though they work best when people are already reasonably well educated. the difficulty of covering the operational costs of management and administration, especially for assessment, qualifications and local accreditation. Also the priority in most developing countries is not for courses from high-level Stanford University professors, but for programs for high schools. Finally, although mobile phones are widespread in Africa, they operate on very narrow bandwidths. For instance, it costs US$2 to download a typical YouTube video – equivalent to a day’s salary for many Africans. Streamed video lectures then have limited applicability. adapting the design, content and delivery of MOOCs to the cultural and economic requirements of those countries. Furthermore, MOOCs are not always open as in the sense of open educational resources. Coursera and Udacity for instance offer limited access to their material for re-use without permission. 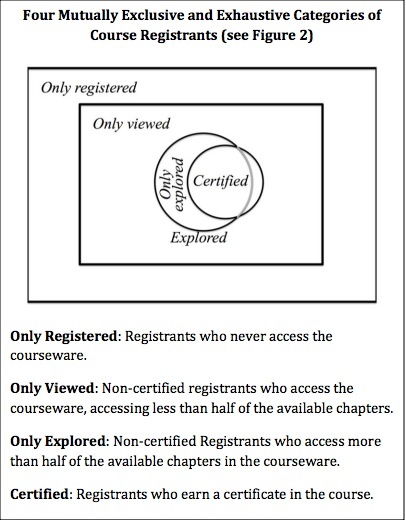 On other more open platforms, such as edX, individual faculty or institutions may restrict re-use of material. Lastly, many MOOCs exist for only one or two years then disappear, which limits their use as open educational resources for re-use in other courses or programs. Finally, although MOOCs are in the main free for participants, they are not without substantial cost to MOOC providers, an issue that will be discussed in more detail in Section 5.4.8. In a research report from Ho et al. (2014), researchers at Harvard University and MIT found that on the first 17 MOOCs offered through edX, 66 per cent of all participants, and 74 per cent of all who obtained a certificate, have a bachelor’s degree or above, 71 per cent were male, and the average age was 26. This and other studies also found that a high proportion of participants came from outside the USA, ranging from 40-60 per cent of all participants, indicating strong interest internationally in open access to high quality university teaching. Data from MOOC platforms indicate that MOOCs are providing educational opportunities to millions of individuals across the world. However, most MOOC participants are already well-educated and employed, and only a small fraction of them fully engages with the courses. Overall, the evidence suggests that MOOCs are currently falling far short of “democratizing” education and may, for now, be doing more to increase gaps in access to education than to diminish them. Thus MOOCs, as is common with most forms of university continuing education, cater to the better educated, older and employed sectors of society. certified: registrants who earn a certificate in the course (5 per cent). of those that participate in at least one activity, between 5-10 per cent go on to successfully complete a certificate. Those going on to achieve certificates usually are within the 5-10 per cent range of those that sign up and in the 10-20 per cent range for those who actively engaged with the MOOC at least once. Nevertheless, the numbers obtaining certificates are still large in absolute terms: over 43,000 across 17 courses on edX and 8,000 across four courses at UBC (between 2,000-2,500 certificates per course). active participants (again, just under half those interviewed) who were fully engaged in the course activities. (p.99): At the centre of the onion is a small core of fully committed students who work through the whole course, and, where available, take an end-of-course assessment or examination. Around the small core will be a rather larger layer of students who do not take any examination but do enrol with a local class or correspondence school. There may be an even larger layer of students who, as well as watching and listening, also buy the accompanying textbook, but who do not enrol in any courses. Then, by far the largest group, are those that just watch or listen to the programmes. Even within this last group, there will be considerable variations, from those who watch or listen fairly regularly, to those, again a much larger number, who watch or listen to just one programme. A sceptic may say that the only ones who can be said to have learned effectively are the tiny minority that worked right through the course and successfully took the final assessment…A counter argument would be that broadcasting can be considered successful if it merely attracts viewers or listeners who might otherwise have shown no interest in the topic; it is the numbers exposed to the material that matter…the key issue then is whether broadcasting does attract to education those who would not otherwise have been interested, or merely provides yet another opportunity for those who are already well educated…There is a good deal of evidence that it is still the better educated in Britain and Europe that make the most use of non-formal educational broadcasting. Exactly the same could be said about MOOCs. In a digital age where easy and open access to new knowledge is critical for those working in knowledge-based industries, MOOCs will be one valuable source or means of accessing that knowledge. The issue is though whether there are more effective ways to do this. Thus MOOCs can be considered a useful – but not really revolutionary – contribution to non-formal continuing education. 5.4.5 What do students learn in MOOCs? This is a much more difficult question to answer, because so little of the research to date (2014) has tried to answer this question. (One reason, as we shall see in the next section, is that assessment of learning in MOOCs remains a major challenge). There are at least two kinds of study: quantitative studies that seek to quantify learning gains; and qualitative studies that describe the experience of learners within MOOCs, which indirectly provide some insight into what they have learned. At the time of writing, the most quantitative study of learning in MOOCs has been by Colvin et al. (2014), who investigated ‘conceptual learning’ in an MIT Introductory Physics MOOC. They compared learner performance not only between different sub-categories of learners within the MOOC, such as those with no physics or math background with those such as physic teachers who had considerable prior knowledge, but also with on-campus students taking the same curriculum in a traditional campus teaching format. In essence, the study found no significant differences in learning gains between or within the two types of teaching, but it should be noted that the on-campus students were students who had failed an earlier version of the course and were retaking it. This research is a classic example of the no significant difference in comparative studies in educational technology; other variables, such as differences in the types of students, were as important as the mode of delivery. Also, this MOOC design represents a behaviourist-cognitivist approach to learning that places heavy emphasis on correct answers to conceptual questions. It doesn’t attempt to develop the skills needed in a digital age as identified in Chapter 1. There have been far more studies of the experience of learners within MOOCs, particularly focusing on the discussions within MOOCs (see for instance, Kop, 2011). In general (although there are exceptions), discussions are unmonitored, and it is left to participants to make connections and respond to other students comments. However, there are some strong criticisms of the effectiveness of the discussion element of MOOCs for developing the high-level conceptual analysis required for academic learning. To develop deep, conceptual learning, there is a need in most cases for intervention by a subject expert to clarify misunderstandings or misconceptions, to provide accurate feedback, to ensure that the criteria for academic learning, such as use of evidence, clarity of argument, and so on, are being met, and to ensure the necessary input and guidance to seek deeper understanding (see Harasim, 2013). Furthermore, the more massive the course, the more likely participants are to feel ‘overload, anxiety and a sense of loss’, if there is not some instructor intervention or structure imposed (Knox, 2014). Firmin et al. (2014) have shown that when there is some form of instructor ‘encouragement and support of student effort and engagement’, results improve for all participants in MOOCs. Without a structured role for subject experts, participants are faced with a wide variety of quality in terms of comments and feedback from other participants. There is again a great deal of research on the conditions necessary for the successful conduct of collaborative and co-operative group learning (see for instance, Dillenbourg, 1999, Lave and Wenger, 1991), and these findings certainly have not been generally applied to the management of MOOC discussions to date. One counter argument is that at least cMOOCs develop a new form of learning based on networking and collaboration that is essentially different from academic learning, and MOOCs are thus more appropriate to the needs of learners in a digital age. 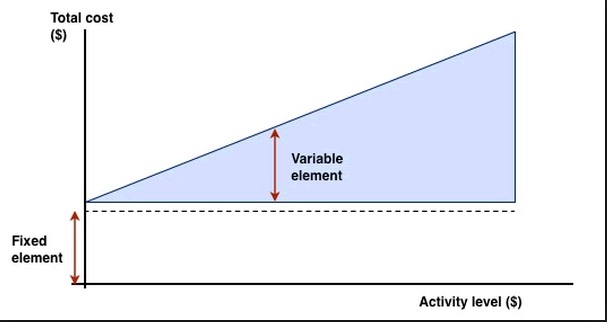 Adult participants in particular, it is claimed by Downes and Siemens, have the ability to self-manage the development of high level conceptual learning. MOOCs are ‘demand’ driven, meeting the interests of individual students who seek out others with similar interests and the necessary expertise to support them in their learning, and for many this interest may well not include the need for deep, conceptual learning but more likely the appropriate applications of prior knowledge in new or specific contexts. MOOCs do appear to work best for those who already have a high level of education and therefore bring many of the conceptual skills developed in formal education with them when they join a MOOC, and therefore contribute to helping those who come without such prior knowledge or skills. Over time, as more experience is gained, MOOCs are likely to incorporate and adapt some of the findings from research on smaller group work to the much larger numbers in MOOCs. For instance, some MOOCs are using ‘volunteer’ or community tutors (Dillenbourg, 2014). The US State Department has organized MOOC camps through US missions and consulates abroad to mentor MOOC participants. The camps include Fulbright scholars and embassy staff who lead discussions on content and topics for MOOC participants in countries abroad (Haynie, 2014). Some MOOC providers, such as the University of British Columbia, pay a small cohort of academic assistants to monitor and contribute to the MOOC discussion forums (Engle, 2014). Engle reported that the use of academic assistants, as well as limited but effective interventions from the instructors themselves, made the UBC MOOCs more interactive and engaging. However, paying for people to monitor and support MOOCs will of course increase the cost to providers. Consequently, MOOCs are likely to develop new automated ways to manage discussion effectively in very large groups. The University of Edinburgh is experimenting with automated ‘teacherbots’ that crawl through online discussion forums and direct predetermined comments to students identified as needing help or encouragement (Bayne, 2014). These results and approaches are consistent with prior research on the importance of instructor presence for successful for-credit online learning. In the meantime, though, there is much work still to be done if MOOCs are to provide the support and structure needed to ensure deep, conceptual learning where this does not already exist in students. The development of the skills needed in a digital age is likely to be an even greater challenge when dealing with massive numbers. However, we need much more research into what participants actually learn in MOOCs and under what conditions before any firm conclusions can be drawn. Assessment of the massive numbers of participants in MOOCs has proved to be a major challenge. It is a complex topic that can be dealt with only briefly here. However, Appendix 1, Section 8 provides a general analysis of different types of assessment, and Suen (2014) provides a comprehensive and balanced overview of the way assessment has been used in MOOCs to date. This section draws heavily on Suen’s paper. 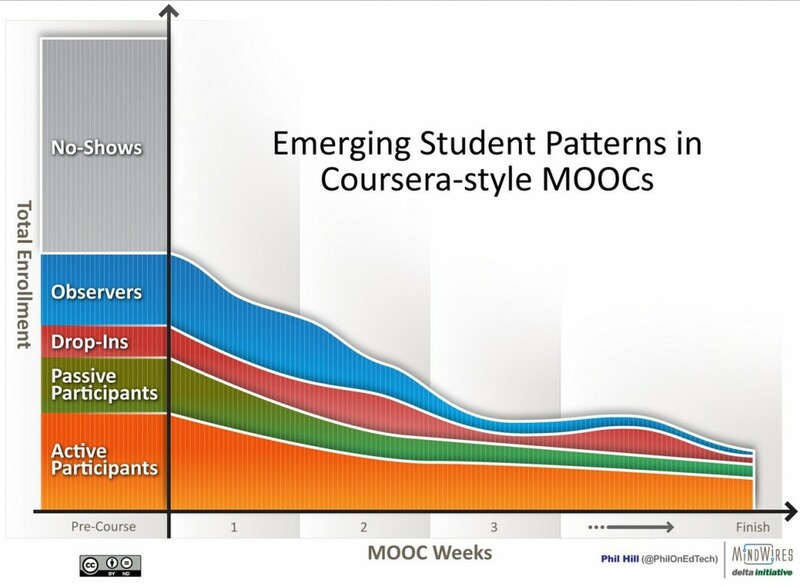 Assessment to date in MOOCs has been primarily of two kinds. The first is based on quantitative multiple-choice tests, or response boxes where formulae or ‘correct code’ can be entered and automatically checked. Usually participants are given immediate automated feedback on their answers, ranging from simple right or wrong answers to more complex responses depending on the type of response checked, but in all cases, the process is usually fully automated. For straight testing of facts, principles, formulae, equations and other forms of conceptual learning where there are clear, correct answers, this works well. In fact, multiple choice computer marked assignments were used by the UK Open University as long ago as the 1970s, although the means to give immediate online feedback were not available then. However, this method of assessment is limited for testing deep or ‘transformative’ learning, and particularly weak for assessing the intellectual skills needed in a digital age, such as creative or original thinking. The second type of assessment that has been tried in MOOCs has been peer assessment, where participants assess each other’s work. Peer assessment is not new. It has been successfully used for formative assessment in traditional classrooms and in some online teaching for credit (Falchikov and Goldfinch, 2000; van Zundert et al., 2010). More importantly, peer assessment is seen as a powerful way to improve deep understanding and knowledge through the process of students evaluating the work of others, and at the same time, it can be useful for developing some of the skills needed in a digital age, such as critical thinking, for those participants assessing other participants. However, a key feature of the successful use of peer assessment has been the close involvement of an instructor or teacher, in providing benchmarks, rubrics or criteria for assessment, and for monitoring and adjusting peer assessments to ensure consistency and a match with the benchmarks set by the instructor. Although an instructor can provide the benchmarks and rubrics in MOOCs, close monitoring of the multiple peer assessments is difficult if not impossible with the very large numbers of participants. As a result, MOOC participants often become incensed at being randomly assessed by other participants who may not and often do not have the knowledge or ability to give a ‘fair’ or accurate assessment of a participant’s work. Various attempts to get round the limitations of peer assessment in MOOCs have been tried such as calibrated peer reviews, based on averaging all the peer ratings, and Bayesian post hoc stabilization (Piech at al. 2013), but although these statistical techniques reduce the error (or spread) of peer review somewhat they still do not remove the problems of systematic errors of judgement in raters due to misconceptions. This is particularly a problem where a majority of participants fail to understand key concepts in a MOOC, in which case peer assessment becomes the blind leading the blind. This is another area where there have been attempts to automate scoring (Balfour, 2013). Although such methods are increasingly sophisticated they are currently limited in terms of accurate assessment to measuring primarily technical writing skills, such as grammar, spelling and sentence construction. Once again they do not measure accurately essays where higher level intellectual skills are demonstrated. Particularly in xMOOCs, participants may be awarded a certificate or a ‘badge’ for successful completion of the MOOC, based on a final test (usually computer-marked) which measures the level of learning in a course. what the ACE accreditation does is merely accredit courses from institutions that are already accredited. The review process doesn’t evaluate learning outcomes, but is a course content focused review thus obviating all the questions about effectiveness of the pedagogy in terms of learning outcomes. Indeed, most of the institutions offering MOOCs will not accept their own certificates for admission or credit within their own, campus-based programs. Probably nothing says more about the confidence in the quality of the assessment than this failure of MOOC providers to recognize their own teaching. To evaluate assessment in MOOCs requires an examination of the intent behind assessment. There are many different purposes behind assessment (see Appendix 1, Section 8). Peer assessment and immediate feedback on computer-marked tests can be extremely valuable for formative assessment, enabling participants to see what they have understood and to help develop further their understanding of key concepts. In cMOOCs, as Suen points out, learning is measured as the communication that takes place between MOOC participants, resulting in crowdsourced validation of knowledge – it’s what the sum of all the participants come to believe to be true as a result of participating in the MOOC, so formal assessment is unnecessary. However, what is learned in this way is not necessarily academically validated knowledge, which to be fair, is not the concern of cMOOC proponents. Academic assessment is a form of currency, related not only to measuring student achievement but also affecting student mobility (for example, entrance to graduate school) and perhaps more importantly employment opportunities and promotion. From a learner’s perspective, the validity of the currency – the recognition and transferability of the qualification – is essential. To date, MOOCs have been unable to demonstrate that they are able to assess accurately the learning achievements of participants beyond comprehension and knowledge of ideas, principles and processes (recognizing that there is some value in this alone). What MOOCs have not been able to demonstrate is that they can either develop or assess deep understanding or the intellectual skills required in a digital age. Indeed, this may not be possible within the constraints of massiveness, which is their major distinguishing feature from other forms of online learning. Hollands and Tirthali (2014) in their survey on institutional expectations for MOOCs, found that building and maintaining brand was the second most important reason for institutions launching MOOCs (the most important was extending reach, which can also be seen as partly a branding exercise). Institutional branding through the use of MOOCs has been helped by elite Ivy League universities such as Stanford, MIT and Harvard leading the charge, and by Coursera limiting access to its platform to only ‘top tier’ universities. This of course has led to a bandwagon effect, especially since many of the universities launching MOOCs had previously disdained to move into credit-based online learning. MOOCs provided a way for these elite institutions to jump to the head of the queue in terms of status as ‘innovators’ of online learning, even though they arrived late to the party. It obviously makes sense for institutions to use MOOCs to bring their areas of specialist expertise to a much wider public, such as the University of Alberta offering a MOOC on dinosaurs, MIT on electronics, and Harvard on Ancient Greek Heroes. MOOCs certainly help to widen knowledge of the quality of an individual professor (who is usually delighted to reach more students in one MOOC than in a lifetime of on-campus teaching). MOOCs are also a good way to give a glimpse of the quality of courses and programs offered by an institution. While many institutions have received significant media attention as a result of their MOOC activities, isolating and measuring impact of any new initiative on brand is a difficult exercise. Most institutions are only just beginning to think about how to capture and quantify branding-related benefits. In particular, these elite institutions do not need MOOCs to boost the number of applicants for their campus-based programs (none to date is willing to accept successful completion of a MOOC for admission to credit programs), since elite institutions have no difficulty in attracting already highly qualified students. Furthermore, once every other institution starts offering MOOCs, the branding effect gets lost to some extent. Indeed, exposing poor quality teaching or course planning to many thousands can have a negative impact on an institution’s brand, as Georgia Institute of Technology found when one of its MOOCs crashed and burned (Jaschik, 2013). However, by and large, most MOOCs succeed in the sense of bringing an institution’s reputation in terms of knowledge and expertise to many more people than it would through any other form of teaching or publicity. One main strength claimed for MOOCs is that they are free to participants. Once again we shall see this is more true in principle than in practice, because MOOC providers may charge a range of fees, especially for assessment. Furthermore, although MOOCs may be free for participants, they are not without substantial cost to the provider institutions. Also, there are large differences in the costs of xMOOCs and cMOOCs, the latter being generally much cheaper to develop, although there are still some opportunity or actual costs even for cMOOCs. Once again, there is very little information to date on the actual costs of designing and delivering a MOOC as there are not enough cases at the moment to draw firm conclusions about the costs of MOOCs. However we do have some data. The University of Ottawa (2013) estimated the cost of developing an xMOOC, based on figures provided to the university by Coursera, and on their own knowledge of the cost of developing online courses for credit, at around $100,000. Engle (2014) has reported on the actual cost of five MOOCs from the University of British Columbia. (In essence, there were really four UBC MOOCs, as one was in two shorter parts.) There are two important features concerning the UBC MOOCs that do not necessarily apply to other MOOCs. First, the UBC MOOCs used a wide variety of video production methods, from full studio production to desktop recording, so development costs varied considerably, depending on the sophistication of the video production technique. Second, the UBC MOOCs made extensive use of paid academic assistants, who monitored discussions and adapted or changed course materials as a result of student feedback, so there were substantial delivery costs as well. Appendix B of the UBC report gives a pilot total of $217,657, but this excludes academic assistance or, perhaps the most significant cost, instructor time. Academic assistance came to 25 per cent of the overall cost in the first year (excluding the cost of faculty). Working from the video production costs ($95,350) and the proportion of costs (44 per cent) devoted to video production in Figure 1 in the report, I estimate the direct cost at $216,700, or approximately $54,000 per MOOC, excluding faculty time and co-ordination support (that is, excluding program administration and overheads), but including academic assistance. However, the range of cost is almost as important. The video production costs for the MOOC which used intensive studio production were more than six times the video production costs of one of the other MOOCs. The main cost factors or variables in credit-based online and distance learning are relatively well understood, from previous research by Rumble (2001) and Hülsmann (2003). Using similar costing methodology, I tracked and analysed the cost of an online master’s program at the University of British Columbia over a seven year period (Bates and Sangrà, 2011). This program used mainly a learning management system as the core technology, with instructors both developing the course and providing online learner support and assessment, assisted where necessary by extra adjunct faculty for handling larger class enrolments. I found in my analysis of the costs of the UBC program that in 2003, development costs were approximately $20,000 to $25,000 per course. However, over a seven year period, course development constituted less than 15 per cent of the total cost, and occurred mainly in the first year or so of the program. Delivery costs, which included providing online learner support and student assessment, constituted more than a third of the total cost, and of course continued each year the course was offered. Thus in credit-based online learning, delivery costs tend to be more than double the development costs over the life of a program. The main difference then between MOOCs, credit-based online teaching, and campus-based teaching is that in principle MOOCs eliminate all delivery costs, because MOOCs do not provide learner support or instructor-delivered assessment, although again in practice this is not always true. There is also clearly a large opportunity cost involved in offering xMOOCs. By definition, the most highly valued faculty are involved in offering MOOCs. In a large research university, such faculty are likely to have, at a maximum, a teaching load of four to six courses a year. Although most instructors volunteer to do MOOCs, their time is limited. Either it means dropping one credit course for at least one semester, equivalent to 25 per cent or more of their teaching load, or xMOOC development and delivery replaces time spent doing research. Furthermore, unlike credit-based courses, which run from anywhere between five to seven years, MOOCs are often offered only once or twice. However one looks at it, the cost of xMOOC development, without including the time of the MOOC instructor, tends to be almost double the cost of developing an online credit course using a learning management system, because of the use of video in MOOCs. If the cost of the instructor is included, xMOOC production costs come closer to three times that of a similar length online credit course, especially given the extra time faculty tend put in for such a public demonstration of their teaching in a MOOC. xMOOCs could (and some do) use cheaper production methods, such as an LMS instead of video, for content delivery, or using and re-editing video recordings of classroom lectures via lecture capture. Without learner support or academic assistance, though, delivery costs for MOOCs are zero, and this is where the huge potential for savings exist. If the cost per participant is calculated the unit costs are very low. Even if the cost per student successfully obtaining an end of course certificate is calculated it will be many times lower than the cost of an online or campus-based successful student. If we take a MOOC costing roughly $100,000 to develop, and 5,000 participants complete the end of course certificate, the average cost per successful participant is $20. However, this assumes that the same type of knowledge and skills is being assessed for both a MOOC and for a graduate masters program; usually this not the case. The issue then is whether MOOCs can succeed without the cost of learner support and human assessment, or more likely, whether MOOCs can substantially reduce delivery costs through automation without loss of quality in learner performance. There is no evidence to date though that they can do this in terms of higher order learning skills and ‘deep’ knowledge. To assess this kind of learning requires setting assignments that test such knowledge, and such assessments usually need human marking, which then adds to cost. We also know from prior research from successful online credit programs that active instructor online presence is a critical factor for successful online learning. Thus adequate learner support and assessment remains a major challenge for MOOCs. MOOCs then are a good way to teach certain levels of knowledge but will have major structural problems in teaching other types of knowledge. Unfortunately, it is the type of knowledge most needed in a digital world that MOOCs struggle to teach. In terms of sustainable business models, the elite universities have been able to move into xMOOCs because of generous donations from private foundations and use of endowment funds, but these forms of funding are limited for most institutions. Coursera and Udacity have the opportunity to develop successful business models through various means, such as charging MOOC provider institutions for use of their platform, by collecting fees for badges or certificates, through the sale of participant data, through corporate sponsorship, or through direct advertising. However, particularly for publicly funded universities or colleges, most of these sources of income are not available or permitted, so it is hard to see how they can begin to recover the cost of a substantial investment in MOOCs, even with ‘cannibalising’ MOOC material for on-campus use. Every time a MOOC is offered, this takes away resources that could be used for online credit programs. Thus institutions are faced with some hard decisions about where to invest their resources for online learning. The case for putting scarce resources into MOOCs is far from clear, unless some way can be found to give credit for successful MOOC completion. MOOCs main value proposition is to eliminate through computer automation and/or peer-to-peer communication the very large variable costs in higher education associated with providing learner support and quality assessment. MOOC materials may be limited by copyright or time restrictions for re-use as open educational resources. 1. Do you agree that MOOCs are just another form of educational broadcasting? What are your reasons? 2. Is it reasonable to compare the costs of xMOOCs to the costs of online credit courses? Are they competing for the same funds, or are they categorically different in their funding source and goals? If so, how? 3. Could you make the case that cMOOCs are a better value proposition than xMOOCs – or are they again too different to compare? 4. MOOCs are clearly cheaper than either face-to-face or online credit courses if judged on the cost per participant successfully completing a course. Is this a fair comparison, and if not, why not? 5. Do you think institutions should give credit for students successfully completing MOOCs? If so, why, and what are the implications? If you want to share your answers, please use the comment box below. Balfour, S. P. (2013) Assessing writing in MOOCs: Automated essay scoring and calibrated peer review Research & Practice in Assessment, Vol. 8. 5.4 Strengths and weaknesses of MOOCs by Anthony William (Tony) Bates is licensed under a Creative Commons Attribution-NonCommercial 4.0 International License, except where otherwise noted.